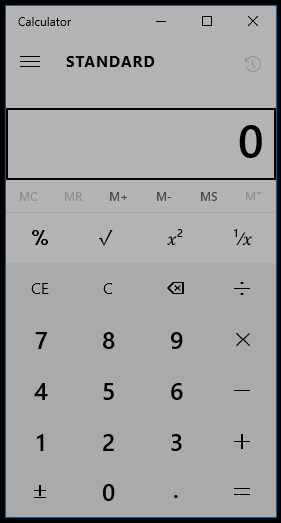 Windows CALC looks tasteless and often taken for granted. Until you are faced with a situation when you'll have no choice but to use it - CALC to you is something that is plainly stupid. There is an occurrence in Windows 10 that will wherein Windows CALC will try to load itself when you run it, then will quickly exit giving you more than enough annoyance that may ruin your day. Sure there are other alternatives to Windows CALC like SpeedCrunch, Precise Calculator, JCalc, and so on. You can search them in Google. For situations like no internet access and whatnot, you'll have no choice but to fix the issue. Click on the START button and click RUN, or simply press WINDOWS KEY + R.
Type PowerShell on the RUN box and press the ENTER key. Try launching your Windows CALC again and it should work now.